These are the changes that Virat Kohli will make for the 5th ODI against Australia! No one would have imagined this a couple of weeks ago. A bruised and depleted Australia arrived in India for a series formality in the truest sense, but after 14 days, they have made everyone eat their words with some convincing performances. Can they break the jinx and win a series in India? Shikhar Dhawan: He had a lot of problems while facing the angling balls by the left-arm pacers but he shredded all that to make a fine comeback to the form in Mohali. In his home city, which is expected to aid batsmen, Dhawan has an opportunity to better his technique against both left-arm pacers and off-spinners. Rest assured, in New Delhi, put a ball on his court and he will give them the due treat. Rohit Sharma: While there is no doubt to the objectivity that he brings to the table, Rohit Sharma is a shining armour to India’s line-up, especially if India bat first again. For all the talks regarding his flailing consistency, Rohit will the first name in many ODI teams and that itself says something about his ability. Virat Kohli: Do I need to even explain anything here? However, there is one request to Virat Kohli. Please be back at your favourite position and bat as long as you want. Delhi will be happy. Vijay Shankar: Ideally, this should have been the case. If India is having the thoughts of not playing Ambati Rayudu at No. 4 - which again is fair enough after the Hyderabad batsman’s recent underperformance - then why are you wasting a pure batsman so down the order. Bring Shankar up top and then see how he finds a way out of the challenge. Rishabh Pant: A superstar-in-making and true heir to MS’ colossal throne, all these adjectives are fine, but can Pant be a little more responsible? He is the automatic selection for the game as MS Dhoni has been rested, but with that Pant has to do his job more responsibly in order to seal a ticket on the England plane. 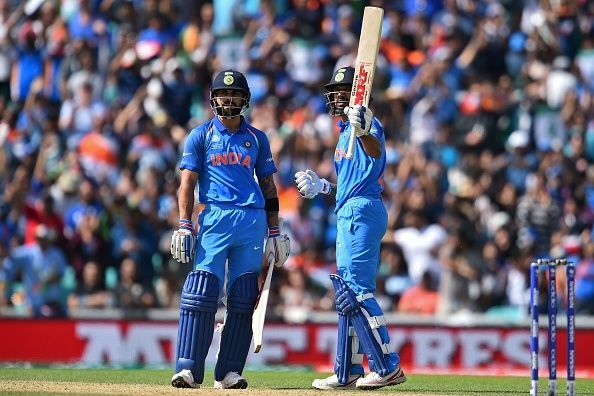 Kedar Jadhav: It can’t be put against him that he conceded runs in the middle-overs, and Jadhav has delivered with the bat too. His street-smartness is an asset at a time when the lack of insurance in the middle-overs batting has been a concern worth-retailing. But can the little man with a big heart pull off the closing act more often? Some firepower down the order would be an added bonus that would take some pressure off the others. Bhuvneshwar Kumar: When the career would be done and dusted, Bhuvneshwar Kumar will be sitting on a hammock, thinking himself how unfair life at times is? He was dropped from the team after being the best player in the previous test, and now when he took some rest to free up his body, someone else has come in and cemented his position. If that is unfair, one of the best bowlers in the death conceded 37 runs. Enough said. He needs to have a superb day-out in Delhi to stake his claim to be the second best seamer in the team. Jasprit Bumrah: Trust me India still hold a chance in the World Cup if Kohli doesn’t play, but they can’t cross past the final hurdle without their main man Bumrah. While India would have loved to wrap him in a cotton wool and send him to an obscure corner of the world, only to unleash him ahead of the World Cup, in reality, they will want him to win the final rubber against Australia. Kuldeep Yadav: The wrist-spinner has been brave enough to understand that dew is negating his normal style of bowling and he can’t get away by bowling conventional deliveries. He added slider in the last game and also the top-spinner made sure that the impact of dew was negated for a bit. Yuzvendra Chahal: 83 runs in 10 overs. All said and done, from the number of examples that we have now, Chahal can’t bowl under dew. It invariably means in England, when chances of rain are always there, the Haryana leggie will be found out. In Delhi, the dew will definitely be there and it will be his chance to prove that he has something up in his arsenal to be the first choice.